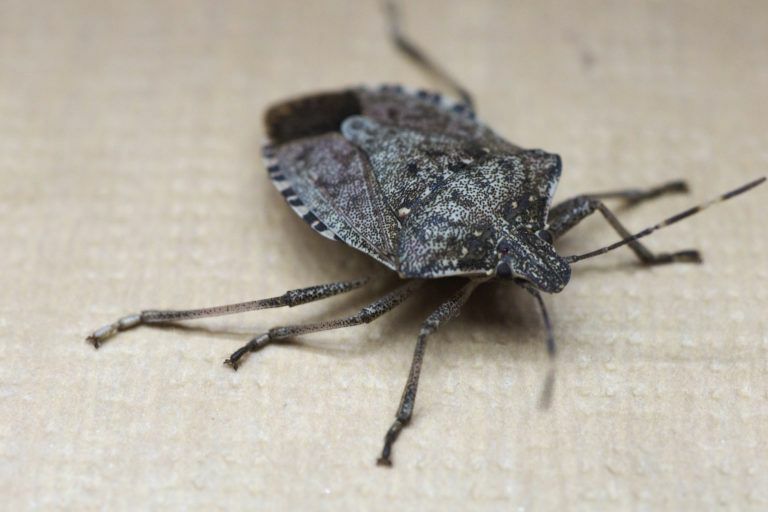 There are about 260 species of stink bugs in the family Pentatomidae that can be commonly found in North America, and over a dozen of which are frequently reported inside of homes each year. Many of the members of this family have scent glands which emit a noxious odor as a defensive agent against predators. 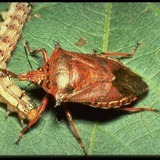 The stink bugs can be quite large: anywhere from 1/6 to one inch in length. As winter draws near, stink bugs have a tendency to find their way into homes, looking for a place to hide. Before the stink bugs move into your house, they may be in your garden, where they also cause problems. In gardens they drink the sap from leaves, flowers, buds, squash, beans, corn, tomatoes, and peaches. Getting rid of stink bugs in your home will be different than getting rid of them in your garden. For example, in your garden, attracting parasitic wasps to kill stink bug pupae will be a realistic and approved method for population reduction, but not so much inside your house. Below I have outlined the several methods of stink bug removal from your home. And to the right are some tips for getting rid of stink bugs in your garden. Before you dispose of that Brown Stink Bug, make sure it is not a Spined Soldier Bug (Podisus maculiventris). The Spined Soldier Bug is a voracious predator of pest caterpillars and grubs. Notice the Spined Soldier Bug has sharper points on its shoulders. During the summer months, make an effort to seal up all cracks around the outside of your house to keep the stink bugs out. Any weep holes should be plugged using wire mesh. Foundation or attic vents should be equipped with tight-fitting screens to keep insects out. At the same time, you should make an effort to seal up the inside of your house as well. As long as it’s done in the summer, sealing up the outside of your home is going to be the best way to keep stink bugs out of your house. If it’s past summer, instead of sealing up the outside of your home, focus on sealing up the inside to keep the stink bugs out. The reason, of course, is that there is a good chance you already have stink bugs inside your walls. If you seal up the outside now, they will have no choice but to come into your house. Sealing up the inside is about all you can do to exclude this pest now. Seal up cracks around windows and door frames, ceiling fixtures, and in walls above false ceilings. Focus your interior exclusion efforts in areas where high activity is noted. The stink bugs also have a preference for west and south exterior walls. like a shop vac or something you can clean. The stink bugs will make it stinky, so you may not want to use your household vacuum cleaner. Also, make sure to dump the contents of your vacuum immediately into a bag that can be tied shut. And get rid of it immediately. Consider installing light traps in basements, attics and crawl spaces to attract and capture stink bugs. Discreetly placed sticky traps can capture some stink bugs. The best place for these sticky traps will be in windowsills, as stink bugs are attracted to the light. 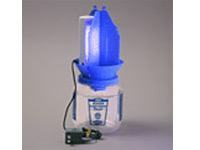 If no stink bugs appear to be in that location, move the trap to a different spot. These traps will also help you to find and monitor the primary hideouts of the stink bugs, which make the following advice even more effective. Despite your best efforts to control the stink bugs using non-chemical means, some infestations will require a treatment of insecticide. You may have to get a professional to apply the insecticide dust into the accessible cracks in exterior walls. An electric duster will get the dust farther into the cracks to reach those sites where most of the Stink Bugs are hiding. Following a treatment, you will want to wait until the summer to reseal any cracks or entrance paths around the outside of your house. Otherwise you may force the stink bugs into the interior of your home. In the future, a preventative spraying of ME or WP insecticide may help to reduce infestations of stink bugs. Spray around windows and doors on the south and west sides of buildings in September and October. These are wet products that can be applied using a hand pump sprayer, so you can do this yourself. You will have to wash the windows afterward, as the spray will dirty them. But it’s a small price to pay for a stink bug-free home. Tachinid flies are excellent predators of many caterpillar pests, sawflies, squash bugs, gypsy moth larvae and stink bugs. The adult female lays eggs in newly hatched larvae or on leaves that caterpillars are feeding on. The eggs hatch once inside, and the larvae feed on the host from within. If you see a caterpillar with white eggs stuck to its back, don’t destroy it. These will develop into more flies. Attract adult flies by planting dill, parsley, sweet clover and other herbs. Let them flower; the flies feed on the nectar. Parasitic wasps were released in Hawaii to control the spread of southern green stink bug. But now they have a problem with parasitic wasps killing too many bugs. The parasitic wasp is trissolcus basalis and it is very effective at killing stink bugs. You may be able to attract the wasps, which are found in nature, by planting small flowering plants. I wouldn’t recommend releasing a million of them, though. Pyrethrins are the extracted active ingredients of the pyrethrum daisies Chrysanthemum cinerariifolium and C. coccineum. The heads of these flowers in full bloom contain many compounds that kill insect pests on contact. They will kill stink bugs, but do not appear to be harmful to bees. Pyrethrin insecticides are moderately toxic to mammals. 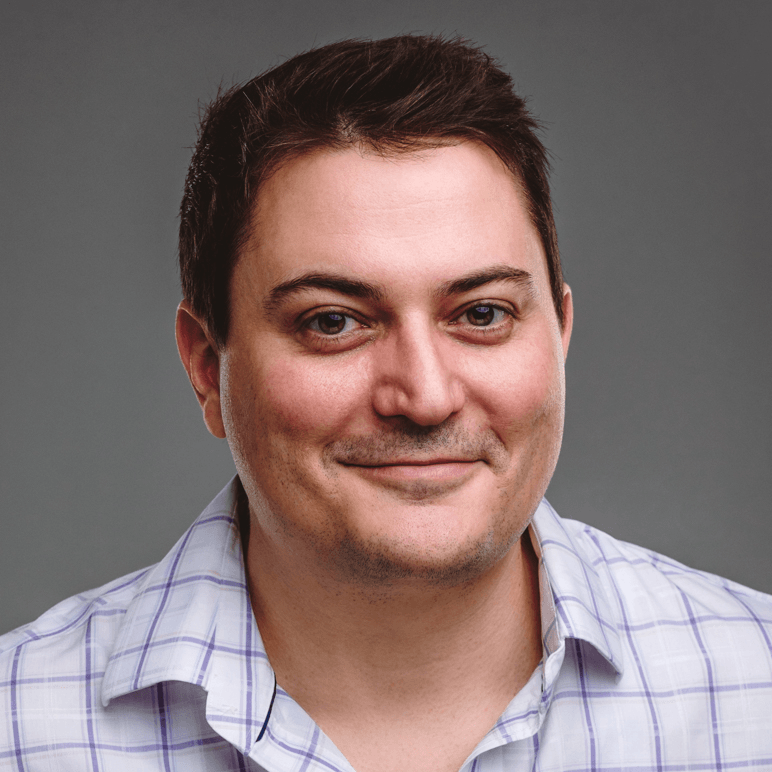 Also be aware that many commercial pyrethrum products may also contain the synergist piperonyl butoxide to enhance the toxicity of the pyrethrin. So read the label before you buy. Amazon sells products like PyGanic Insecticide that will do the trick.